There could be a lot of wheeling and dealing at the start of the 2017 NBA draft on June 22. But let’s assume that every team keeps its pick. Washington guard Markelle Fultz would be the top pick by the Boston Celtics. After talking to a high-ranking NBA team executive, here is The Undefeated’s lottery mock draft. 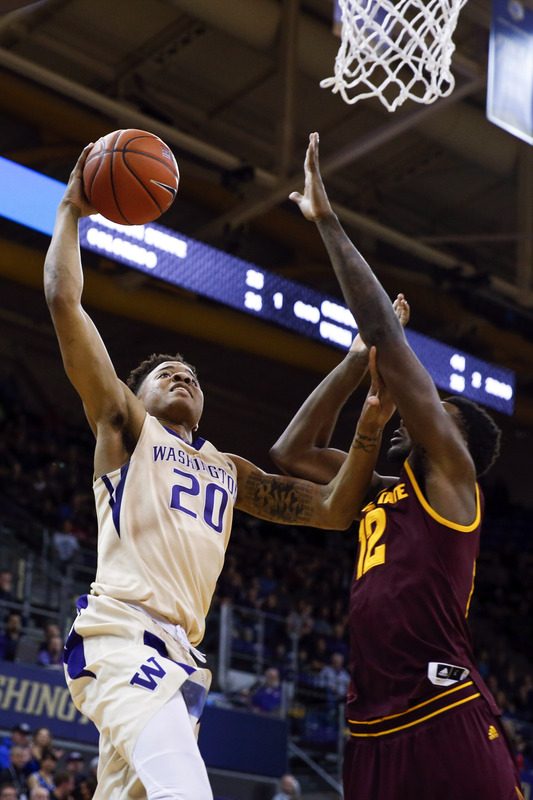 Washington Huskies guard Markelle Fultz puts up a layup against Arizona State Sun Devils forward Andre Adams at Alaska Airlines Arena at Hec Edmundson Pavilion in Seattle. Pick: Washington point guard Markelle Fultz, 6-4, 195 pounds. Comment: Boston should trade this pick to the Chicago Bulls for All-Star Jimmy Butler, but expect the athletic and unselfish point guard to be selected. Lonzo Ball (No. 2) of the UCLA Bruins drives to the basket against Wenyen Gabriel (No. 32) of the Kentucky Wildcats in the first half during the 2017 NCAA men’s basketball tournament South Regional at FedExForum on March 24 in Memphis, Tennessee. 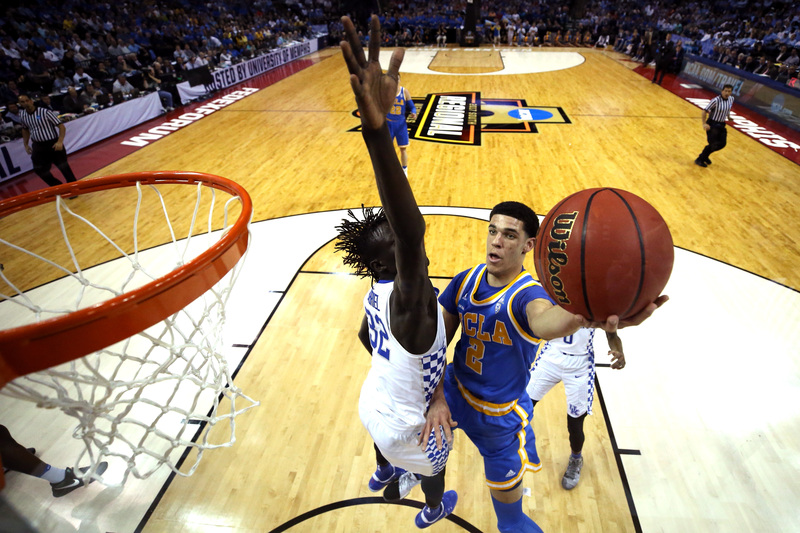 Pick: UCLA point guard Lonzo Ball, 6-6, 190 pounds. Comment: Magic Johnson, the Lakers’ president of basketball operations, has been infatuated with this local kid with Magic-like passing skills from a famous shoe-selling family. Kansas’ Josh Jackson, who scored a game-high 23 points, bowls over Michigan State’s Kyle Ahrens (on the deck) and Kenny Goins (No. 25) in a 90-70 drubbing of the Spartans on March 19 in the second round of the NCAA men’s basketball tournament at the BOK Center in Tulsa, Oklahoma. 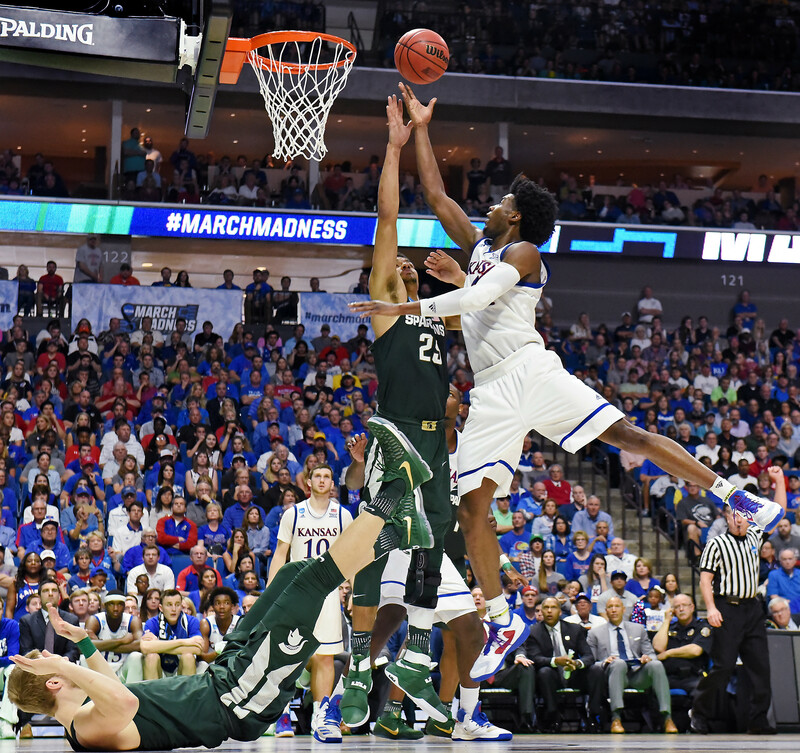 Pick: Kansas small forward Josh Jackson, 6-8, 205 pounds. Comment: Don’t be surprised if Jackson ends up being the top player in the draft because of his Kobe Bryant-competitive nature, athleticism and improving jump shot. Jayson Tatum of the Duke Blue Devils dunks in the first half against the South Carolina Gamecocks during the second round of the 2017 NCAA men’s basketball tournament March 19 at Bon Secours Wellness Arena in Greenville, South Carolina. Pick: Duke small forward Jayson Tatum, 6-8, 205 pounds. 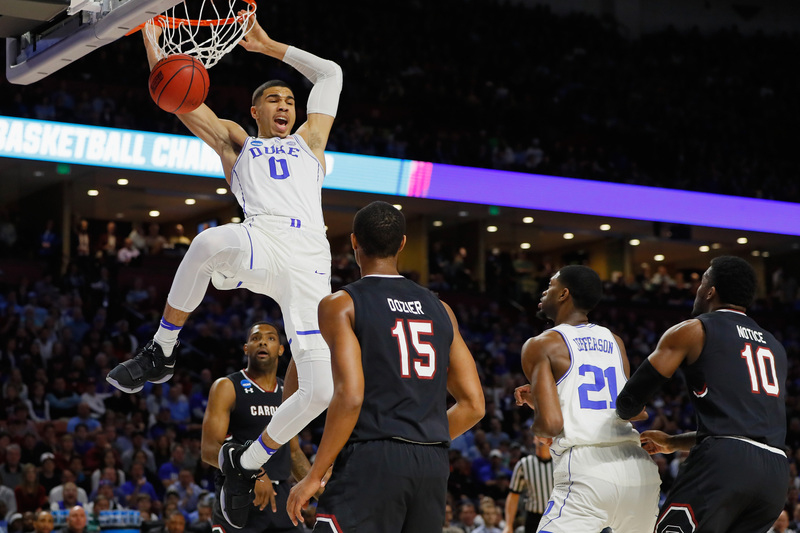 Comment: Tatum kept improving as his freshman season progressed for the Blue Devils, has a 6-foot-11 wingspan and has an all-around skilled game. Kentucky Wildcats guard De’Aaron Fox drives against North Carolina Tar Heels forward Theo Pinson in the first half during the finals of the South Regional of the 2017 NCAA men’s basketball tournament at FedExForum in Memphis. 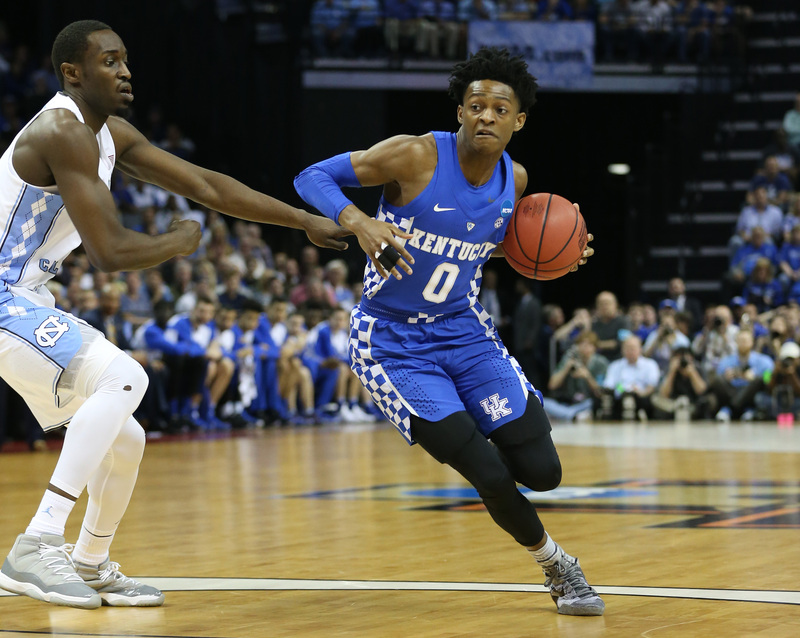 Pick: Kentucky point guard De’Aaron Fox, 6-6½, 170 pounds. Comment: The Sacramento Kings land a steal and long-coveted point guard who some NBA scouts believe is better than Ball. This speed demon, however, must improve his jump shot. Florida State Seminoles forward Jonathan Isaac goes in for the layup while being defended by Clemson Tigers guard Shelton Mitchell during the first half at Littlejohn Coliseum in Clemson, South Carolina. 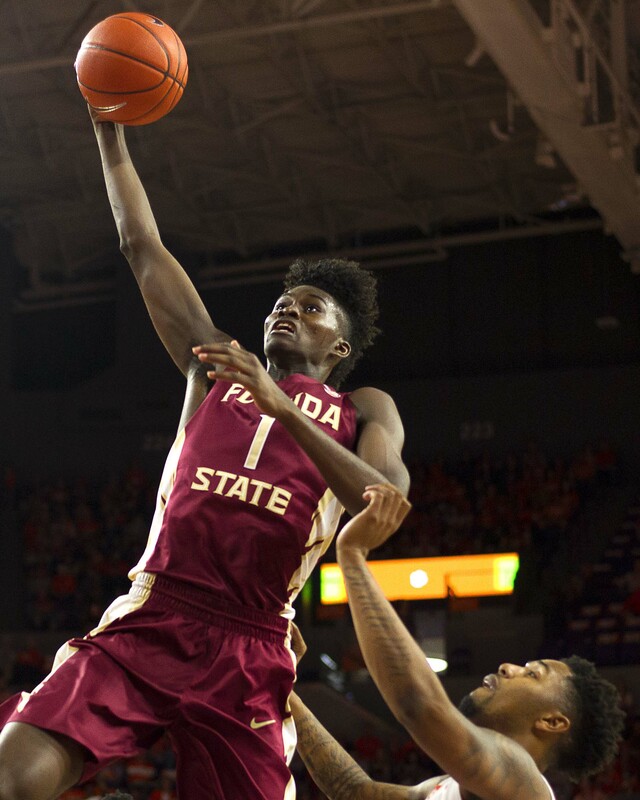 Pick: Florida State small forward/power forward Jonathan Isaac, 6-11, 205. Comment: The versatile and athletic Isaac stays in Florida to fill a need at small forward for the Orlando Magic. He can protect the rim but needs to get stronger. Arizona Wildcats forward Lauri Markkanen moves to the basket against North Dakota Fighting Hawks forward Conner Avants during the first half of the first round of the NCAA tournament at Vivint Smart Home Arena in Salt Lake City, Utah. 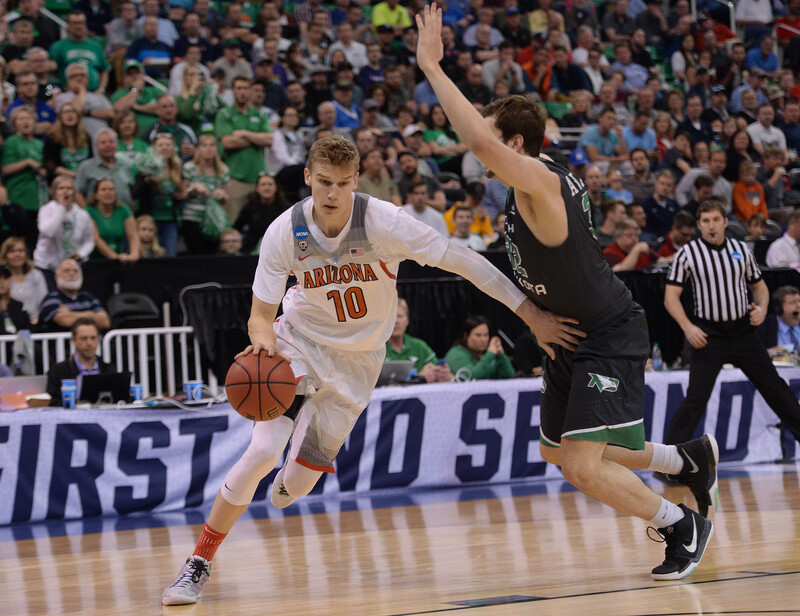 Pick: Arizona power forward Lauri Markkanen, 7-0, 225 pounds. Comment: The Minnesota Timberwolves now get a scary big-man scoring duo with budding star Karl-Anthony Towns and the deep threat Markkanen. Dennis Smith Jr. of the North Carolina State Wolfpack drives for a dunk as time expires during his team’s win against the Duke Blue Devils at Cameron Indoor Stadium on Jan. 23 in Durham, North Carolina. 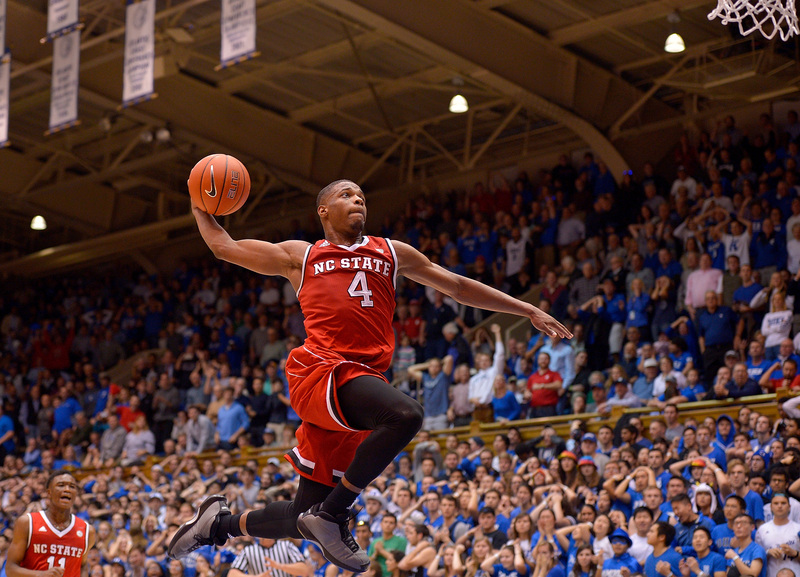 Pick: North Carolina State point guard Dennis Smith, 6-3, 195 pounds. Comment: Finally, good news for New York. The Knicks desperately need a point guard and land one in the talented, athletic and hot-scoring Smith. Zach Collins (No. 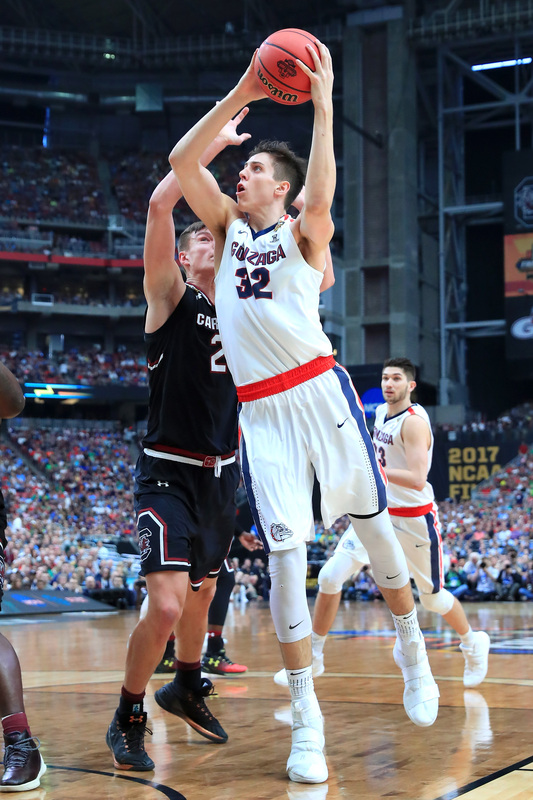 32) of the Gonzaga Bulldogs drives to the basket against Maik Kotsar of the South Carolina Gamecocks in the first half during the 2017 NCAA Men’s Final Four game at the University of Phoenix Stadium on April 1 in Glendale, Arizona. Pick: Gonzaga power forward-center Zach Collins, 7-0, 230 pounds. Comment: The Dallas Mavericks get a 7-footer to eventually replace the franchise’s greatest player in 7-footer Dirk Nowitzki, who could be a great mentor. Creighton center Justin Patton boxes out Villanova forward Eric Paschall during the second half of their game Feb. 25 at The Pavilion in Villanova, Pennsylvania. 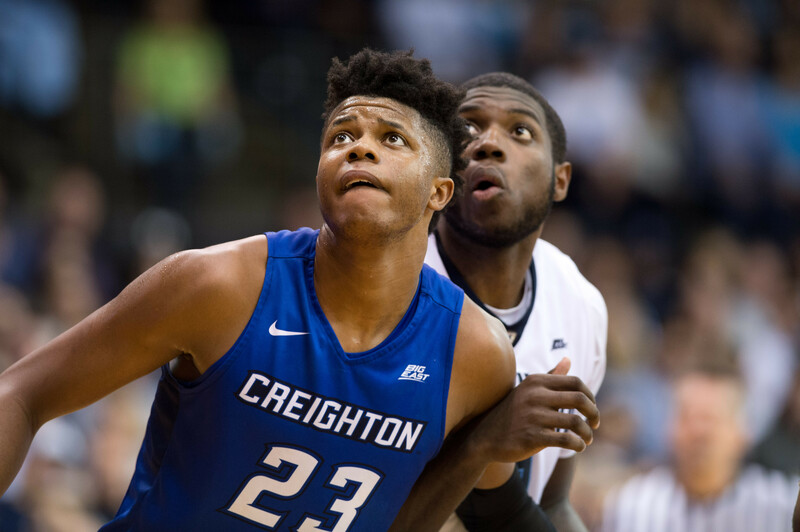 Pick: Creighton center Justin Patton, 7-0, 230 pounds. Comment: Long athlete with a decent skill set who runs the floor. Needs to get stronger but has major upside and some range on his jump shot. Kentucky Wildcats guard Malik Monk passes the ball in front of North Carolina Tar Heels forward Isaiah Hicks in the first half during the finals of the South Regional of the 2017 NCAA tournament at FedExForum in Memphis. 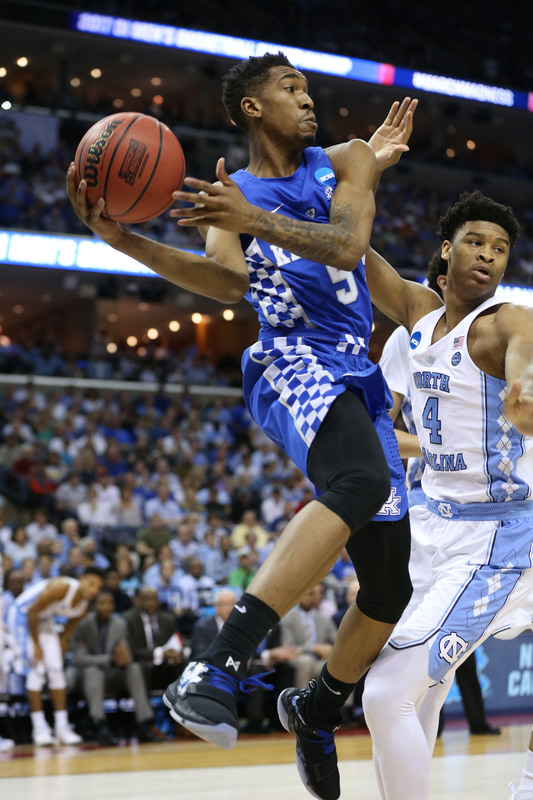 Pick: Kentucky shooting guard Malik Monk, 6-4, 197 pounds. Comment: Michael Jordan adds a Jordanesque-type of scorer to his Charlotte Hornets in the explosive Monk, who could play alongside All-Star Kemba Walker. Frank Ntilikina in action during SIG Strasbourg’s Basketball Champions League game vs Cibona in Strasbourg, France, on Jan. 18. Pick: French point guard Frank Ntilikina, 6-5, 170 pounds. Comment: The Detroit Pistons fill a need for the future in a big, strong, pass-first point guard in a draft deep in point guard talent. Still needs to improve his jump shot. Kentucky forward Edrice Adebayo passes the ball away from Northern Kentucky guard Lavone Holland II during the second half in the first round of the 2017 NCAA tournament at Bankers Life Fieldhouse. 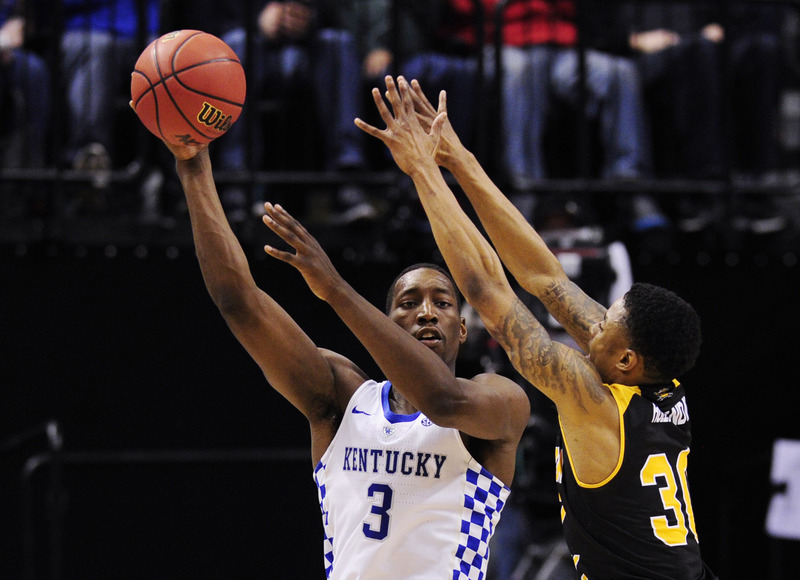 Pick: Kentucky center Edrice “Bam” Adebayo, 6-10, 240 pounds. Comment: Denver Nuggets budding superstar big man Nikola Jokic will not have to play center when the athletic, tough, shot-blocking Adebayo is on the floor. Duke forward Harry Giles dunks the ball against Boston College during the first half of their game at Cameron Indoor Stadium. 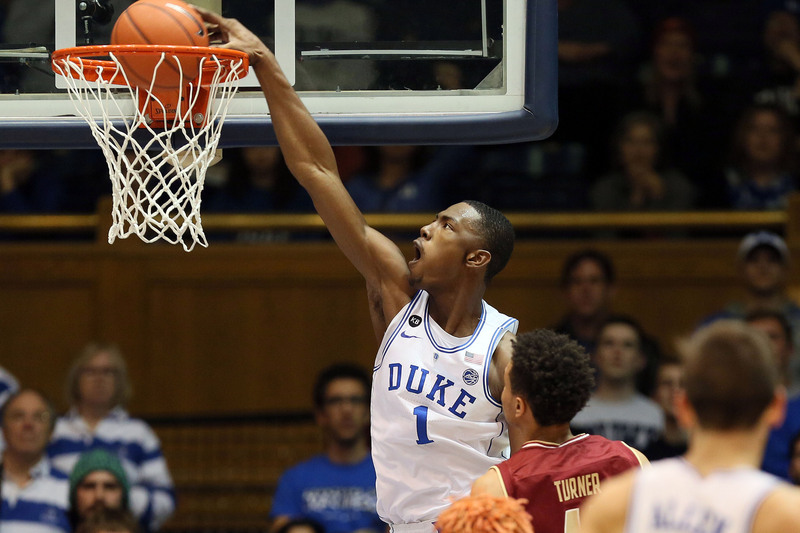 Pick: Duke power forward Harry Giles, 6-11, 230 pounds. Comment: The injury-plagued youngster would have been a high pick without his knee issues. Could be a great complement to center Hassan Whiteside.